Everton was officially unveiled to the public at a short but impressive ceremony which took place at the Warriors home ground in Umuahia on Tuesday. A Brazilian Coach, Rafael Everton Lira has officially signed a two-year deal with Nigeria Professional Football League side, Abia Warriors. Everton is expected to help improve the ranking of Abia Warriors as the club hopes to become realistic title contenders. The new Brazilian coach says he has come to Umuahia with the intention of making the "Warriors" one of the best in the land. He also said he is happy with what he has seen on ground. 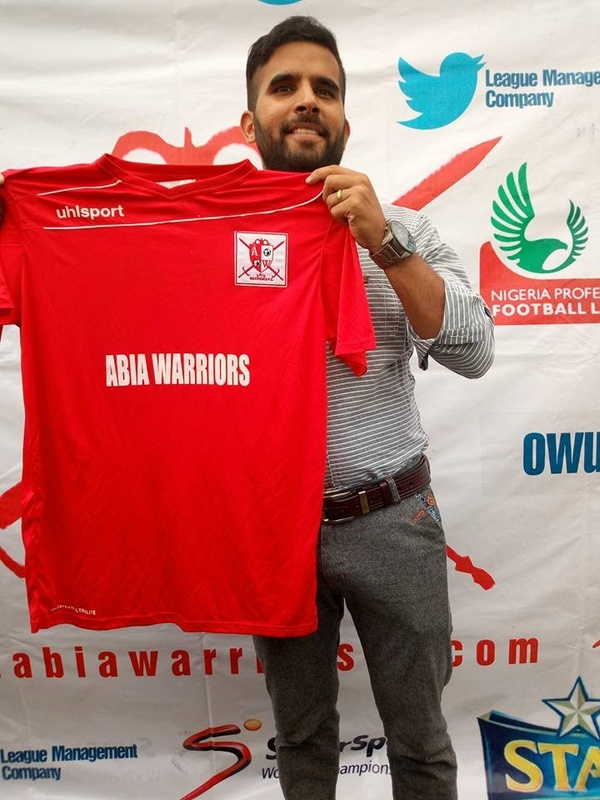 Everton, admits the enormity of expectation on him but he is confident that he would help Abia Warriors realize its ambition of at least getting one of the continental slots.